The most visited tourist place in South India, Mysore is a beautiful city which has in store myriads of spots to visit, explore and savour. 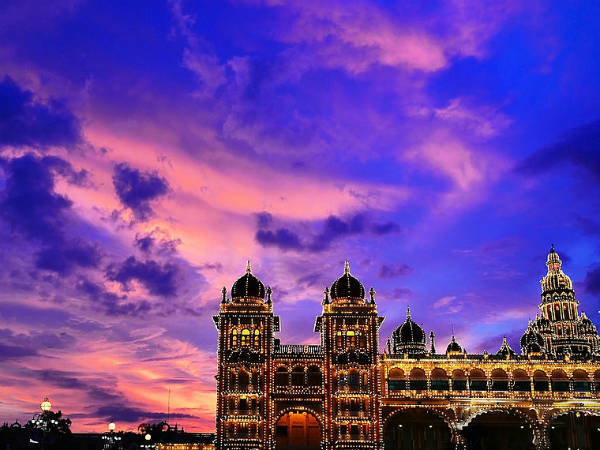 Even though Mysore has become a synonym to the Mysore Palace over a period of time, it is known for several other things amongst tourists and travellers. One such thing which makes Mysore one of the most beautiful and a must-visit destination is Mysore Dasara. It is a 10-day festival which is celebrated to commemorate the victory of good over evil. During this festival, Mysore gets flooded with thousands of tourists from all over the country. Therefore, savouring the beauty of Mysore Dasara becomes a must-have experience. The festival generally falls in the months of September and October and marks the commencement of Navratri. The last day of the festival, i.e., the 10th day, is called Vijayadashami and is celebrated with great enthusiasm. But do you know there are several interesting facts about Mysore Dasara that will compel you to plan a tour of Mysore? This year, Mysore Dasara is being celebrated from 10th to 19th of October. Yes, In 2018, Mysore Dasara will be celebrating its 408th anniversary. Even though the history of this grand festival is still a debatable topic, it is said to have been started in the year 1610. Since then, it is one of the most significant festivals in the southern parts of India, especially in the region of Karnataka. Today, people from all over the country visit Mysore to witness the grandeur of this magnificent event. Unknown to many, Mysore is named after Mahishasura, a buffalo-headed demon who used to torture people by his evil deeds. As per ancient Hindu legends, he was one of the most dangerous and ferocious demons ever in the history of the world. Eventually, he was killed by Goddess Durga. If you live in the northern parts of India, you must be well acquainted with the fact that Dasara is celebrated in the honour of Lord Rama after he killed the demon king Ravana and won against the evil. However, it is not exactly the same when it comes to South India. Yes, Mysore Dasara is celebrated in the honour of Goddess Durga as she killed the demon Mahishasura and saved people from his atrocities. Therefore, a grand procession is held during this festival in her honour every year. You might be well aware of the beauty of the Mysore Palace during this grand festival. We all know that during Mysore Dasara the entire palace gets decorated with bulbs and lights. But did you know that the number of bulbs used every year to get this heritage building illuminated is about 100,000? Well, this will assuredly leave you awestruck. So, what do say about getting yourself to Mysore this weekend and witnessing the heavenly form of the Mysore Palace at night? Mysore Dasara is said to have been started in the year 1610. However, it has a history dating back to several centuries before its actual year of commencement. As per local legends, the festival is believed to be the most significant festival in the Vijayanagara Empire during the 14th and 15th centuries. Therefore, it wouldn't be wrong to say that Mysore Dasara is of great cultural, religious as well as historical significance. The idol of Goddess Durga, which is the main attraction during the procession of Mysore Dasara, is made entirely of gold and weighs about 750 kg. Well, that is something which clearly shows the grandeur and the greatness of the festival. So, don't you think a visit to Mysore during the festival of Dasara is worth remembering? If yes, then pack your bags as soon as possible.